A design illustrating Banksy's art where the flower is replaces the apple logo of your MacBook. A design from our MacBook stickers collection. This superb design is ideal for those art lovers that own a MacBook! You can personalise your device and stand out from the rest! Who says you can't decorate your Mac?! You can even decorate your iPad! You can also check our Banksy wall stickers to decorate your room! Don't forget to have a look at our graffiti wall stickers. 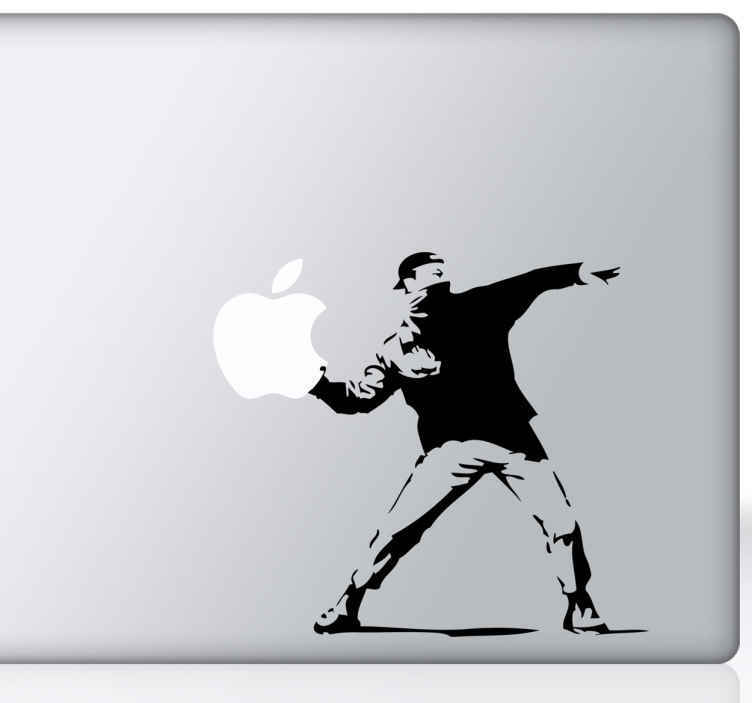 This Banksy artwork design for MacBooks is available in various colours and sizes. Easy to apply and remove. * Depending on the size of the device the proportions may vary slightly.